We have an interesting show today. Franchise Interviews is meeting with Chief Hireologist at Hireology Adam Robinson. One of the keys to franchise ownership is hiring exceptional employees. The Hireology selection management platform eases the hiring process for franchisees. The company's award-winning Selection Manager includes everything a franchise business owner needs to run their hiring process, including a fully-hosted career site, integrated job postings, compensation analysis, pre-hire measurements, interview manuals, background checks, skills verification and more. In addition, franchise systems, use Hireology's web-based platform to offer dependable and repeatable hiring decisions in the field - leading to lower turnover and better profitability per location. Click the link below to listen to the show. We are meeting with Adam Robinson, co-founder and CEO of Hireology. Adam is a noted recruiting industry expert, speaker, and author with over 20 years of experience in the field of hiring and selection management, including numerous national franchise brands in the fitness, home health and B2B industries. 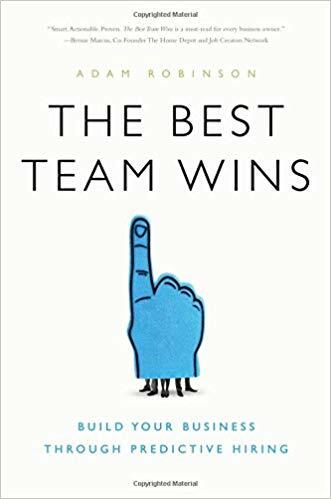 He is the author of The Best Team Wins: Build Your Business Through Predictive Hiring. Click the play button below to listen to the podcast.